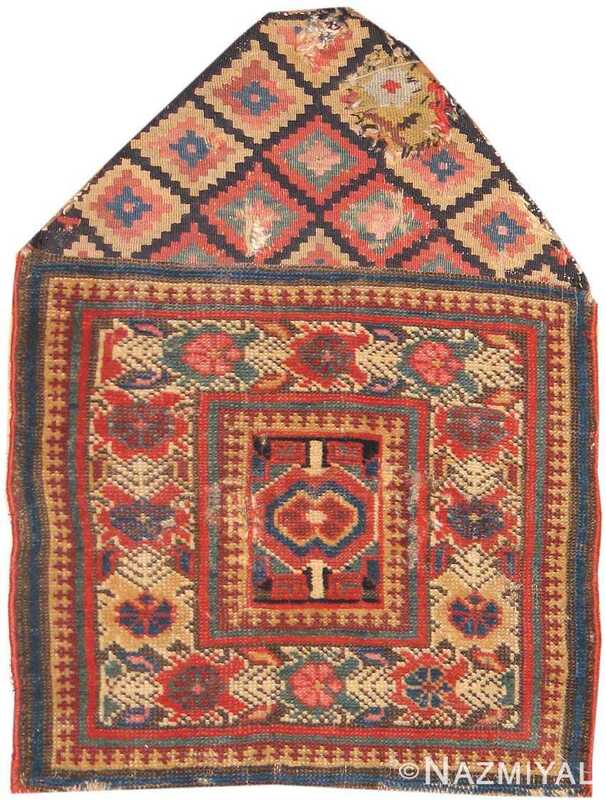 The field of this lovely little antique Kurdish bag from Persia has one stylized blossom, an excerpt from a larger allover design. 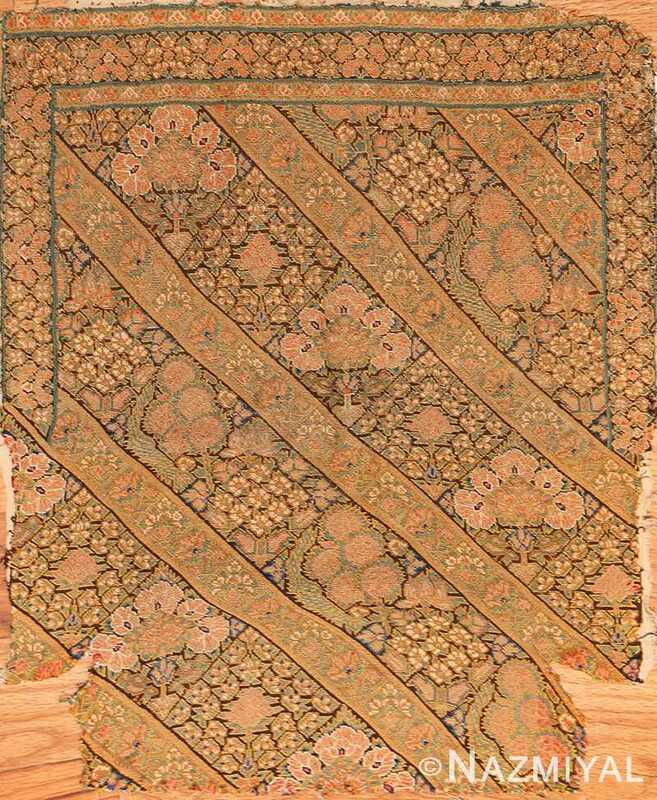 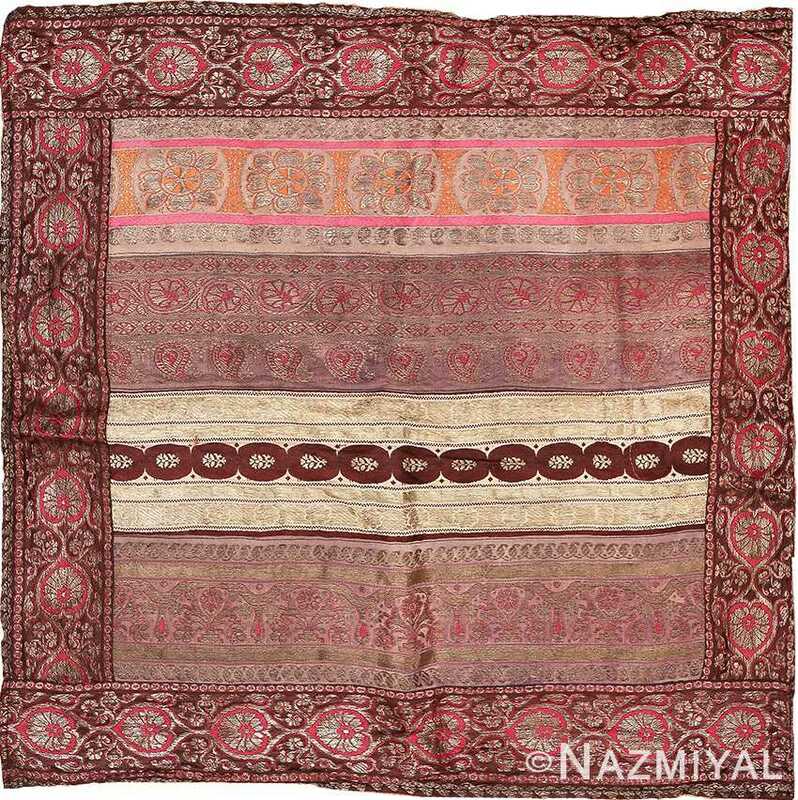 Despite its small size, this dazzling antique Persian textile is a lovely example: the quality of its drawing is apparent in the beautifully rendered golden detail work that appears throughout. 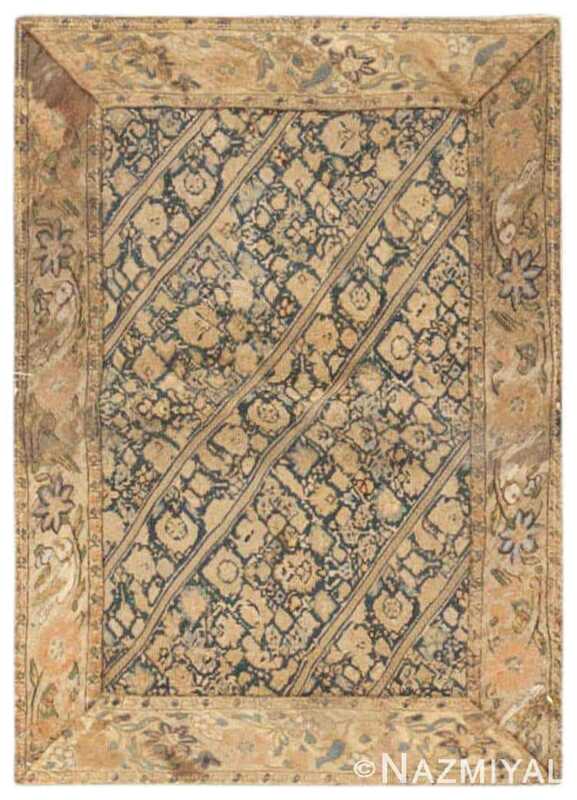 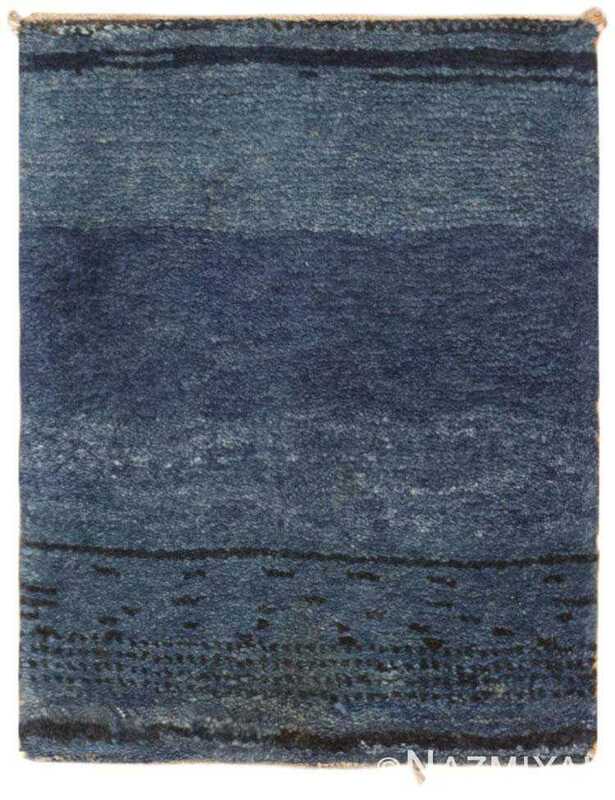 In form and detail, this handsome antique Persian rug is a dazzling representation of Senneh's style, which is revered for its richness and impeccable construction. 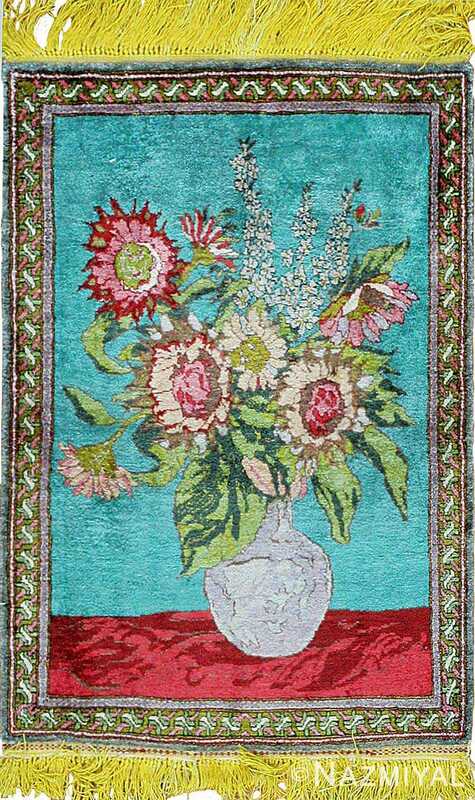 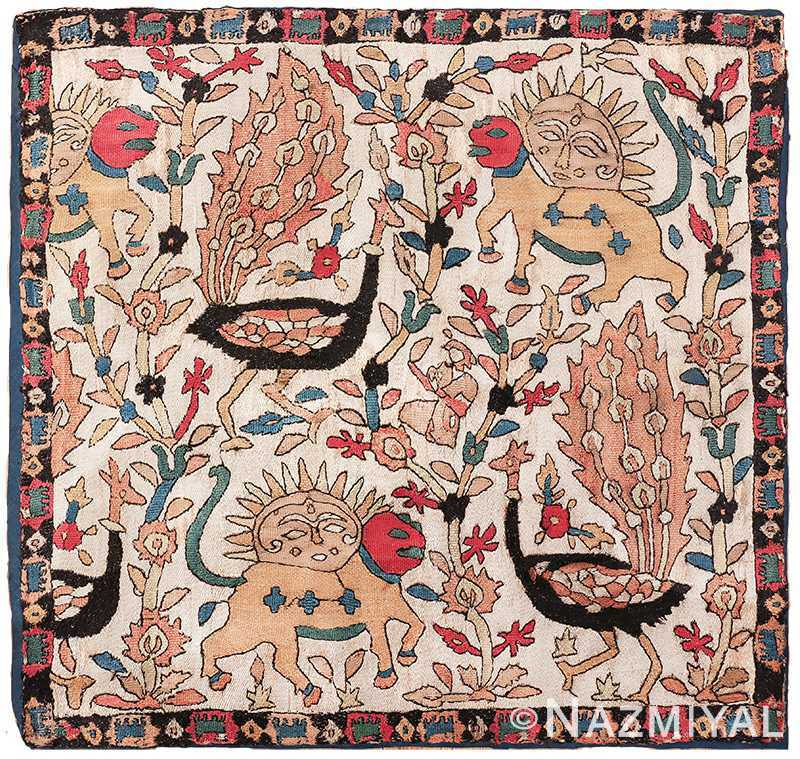 Using vibrant colors and brightly-dyed fringes, this still life carpet from the city of Tabriz features Persian hallmarks infused with European appeal. 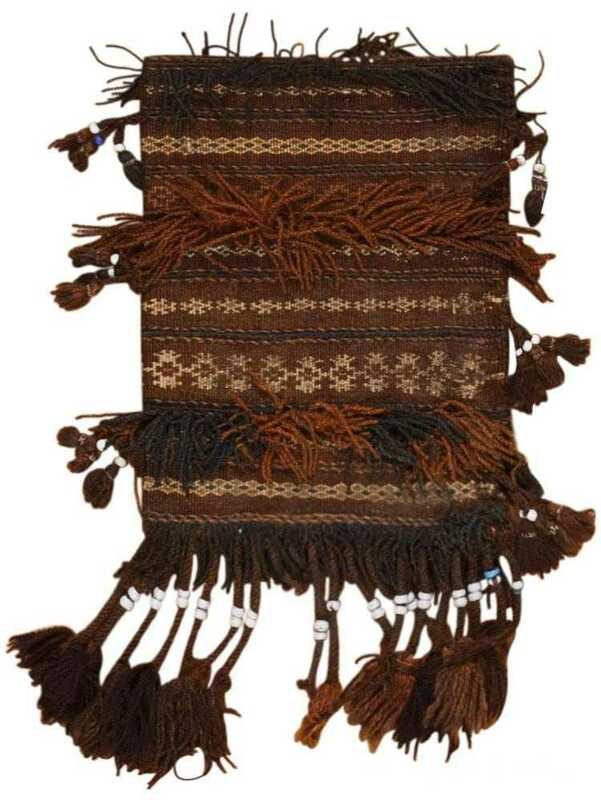 Rows of long wooly fringes and intricate wolf's mouth symbols create a bold series of horizontal stripes that decorate this spectacular antique Baluch bag from Persia. 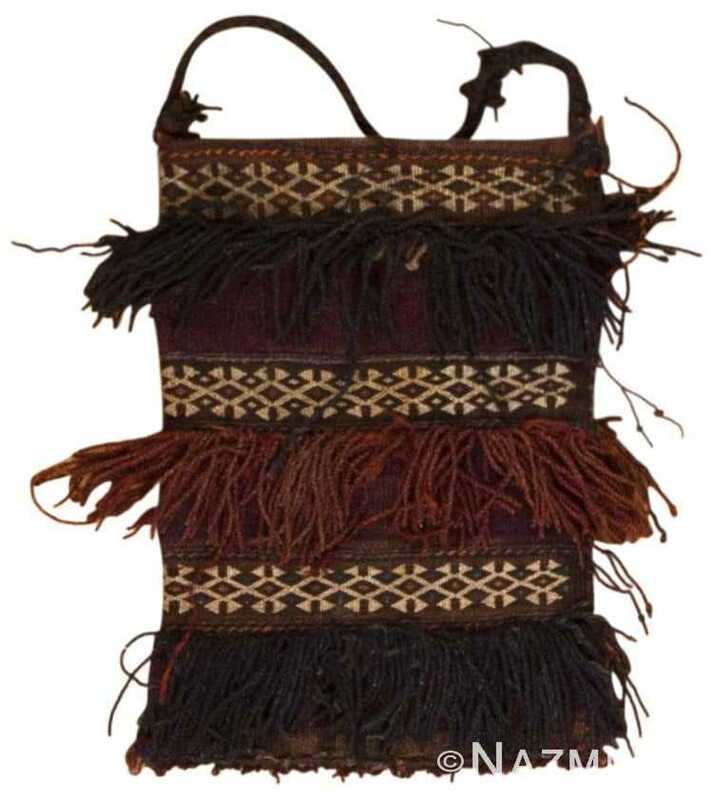 Intricate protection symbols and textural decorations arranged in rows create a magnificent and culturally rich pattern that decorates this antique Baluch bag. 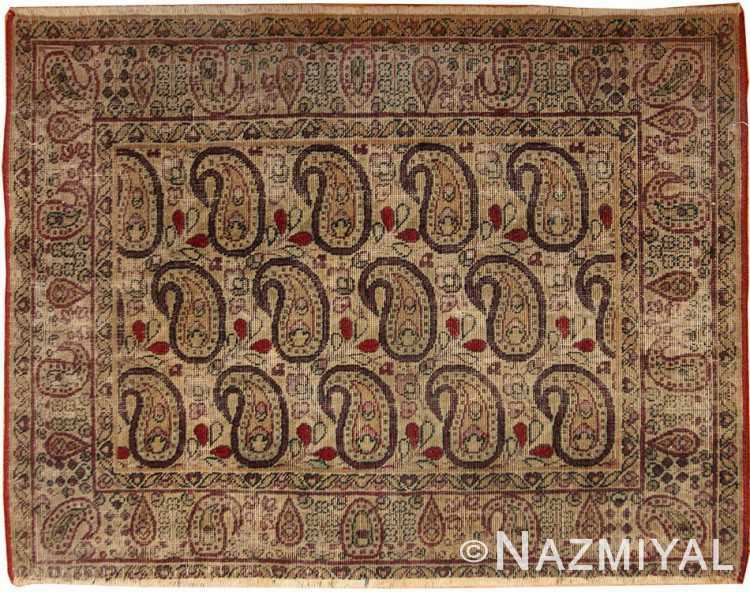 Colored with a pallet of muted browns and reds, this small Kerman boasts a quiet, somber quality that is interrupted by the energy of its many botehs. 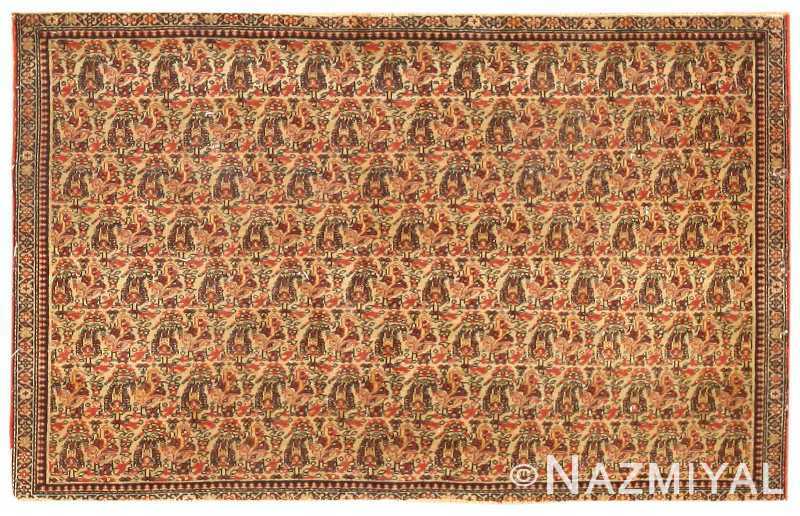 Created in Persia, this splendid antique Safavid textile depicts a stately arabesque bounded by formal strapwork details and enclosed by lavish floral borders. 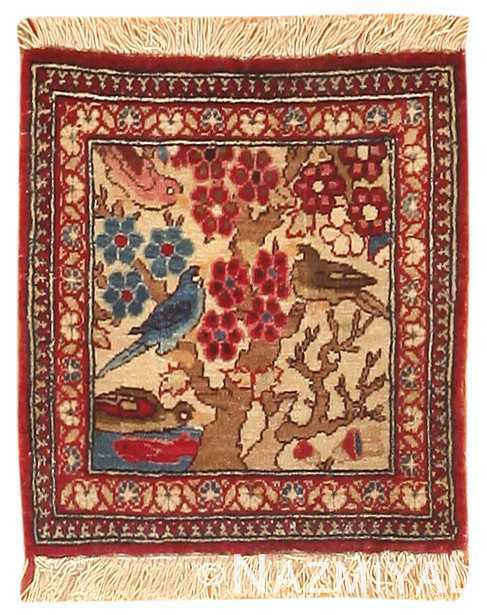 This splendid antique pictorial Persian rug from Kashan depicts a naturalistic landscape scene with delightful nightingales perched in a graceful flowering tree.